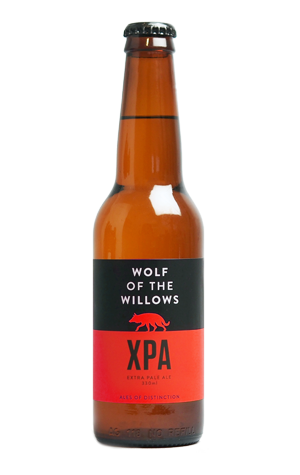 As ways to announce yourself to the beer world, they don't come much better than Wolf of the Willows' XPA. Their first release appeared in bottles in 2014 with some of the most stylish packaging yet seen from an Aussie brewery, and what was inside was just as impressive, quickly building a buzz around town as a beer to hunt down. XPA stands for Extra Pale Ale and, in the case here, that means an American style pale ale that's "extra pale in colour with extra hop aroma and flavour". It delivers on all fronts, with waves of tropical and citrusy hop aromas hitting you first before a lean, light biscuity malt flavour comes into play. There's a tight but firm bitterness completing the picture for one of the finest and most refreshing pale ales you'll find around Australia.